Walter Sear addresses the AES convention in 2001. Photo courtesy the Audio Engineering Society, used by permission. 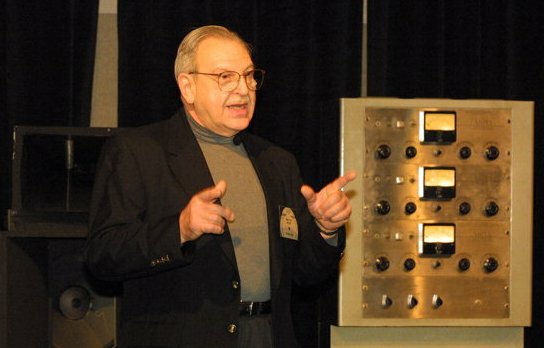 It’s the end of an era: pioneering synth guru, engineer, sound designer, instrument importer, composer, producer, and owner of the landmark Sear Sound recording studio in New York has died at age 79. Sear’s career covered almost everything you could do in sound. He played tuba in the pit at Radio City Music Hall, imported and sold tubas. He studied chemistry. He befriended Bob Moog, introduced Moog to Walter Carlos, and is credited with helping convince Bob to make synths you can lift. He wrote music for Jim Henson, among other soundtracks and his own “switched on”-style record. Sear is best known in recent decades for founding and operating Sear Sound, a spectacular, sought-after studio in Manhattan packed to the gills with gorgeous vintage gear. The four-studio facility has become a Mecca for lovers of studio recording, even well into the age of digital, attracting artists from Paul McCartney to Clapton to Sigur Ros and Wayne Shorter and even major TV and film projects (“A Bronx Tale.”) The studio almost needs a list of clients who didn’t work there since its 1970 opening. Just as Sear was an expert in what tuba players and would-be synth customers wanted, he managed to turn Sear Sound into a monument to great audio, collecting the ribbon mics and vacuum tubes needed to keep it all running. I’m sure there are others; if you have something to share, let us know. The producers didn’t understand the capabilities of the instrument—and they still don’t. It takes imagination to think of a sound no one has ever heard before. 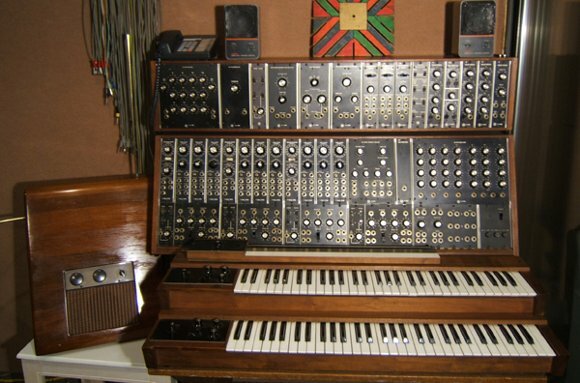 The Moog could have been a contender, but I didn’t sell what it could do hard enough. Then again, it all started in the 13th century, with the invention of the hurdy-gurdy, the first instrument designed to eliminate musicians. I don’t want to make money, I just want to make good recordings. I’m doing this because I hope people will realize what they’ve been missing. I’ve had a pretty full life—I’ve played tuba, made a bunch of films, manufactured tubas and guitar amplifiers, sold Moogs. I’ve been married 52 years and had two kids. I did all of these things because I get bored easily. That’s why I’m always on to something new. Inside Sear Sound in New York, one wall among many audio goodies assembled by Walter Sear.